The Kaamos Territory is the ancestral homeland of House Thul, one of the major houses of Alderaan and a contender for the throne. After Thul returned from exile with its Imperial allies, the nobles set about rebuilding on the grounds of the ancient Thul palace--abandoned long ago but not entirely destroyed, ready to be returned to glory. Thul's grip on the territory is still tenuous, as the house faces incursions from both the native Killiks and enemy houses. The Lerantha Dam is also located in the Kaamos Territory--a long-standing landmark and generator plant built at the edge of the Lerantha Lake. Currently, House Ulgo controls the dam, threatening the edges of House Thul's territory. Thousands of years ago, before the noble houses had united to form the Alderaanian parliament, the warring families gathered for a decisive battle at the ravine now known as King's Pass. Before the fighting could commence, Darrus Alde, the head of House Alde, parleyed with the other noble families and convinced them to abandon their centuries-old rivalries. His decisive leadership ended generations of strife and led to the construction of the Elysium, where Darrus was elected and anointed as the first king of Alderaan. In recent years, the native Killiks have repopulated the area, provoking increasingly violent skirmishes with the neighboring Alderaanians. The ravine's strategic location has also made it a hotbed of violence between the major noble houses as they struggle for control. South of the Juran Mountains, the Apalis Coast is a rich green flatland separated from the sea by a sheer cliff face. The ancestral home of House Organa, it has been a reliable source of wealth for generations, as the noble family has made the coast into productive farmland. Unfortunately, this fruitful land has now been marred by invaders from House Thul. After a failed assault on House Organa itself, Thul forces have dug up Organa's fertile farms and turned the area into a massive army camp. Thul forces are there to stay, a constant challenger in the face of their rivals. For millennia, the Elysium has served as the symbolic center of Alderaanian politics. Years before the capital city was founded, the various noble houses met in the Elysium to elect and anoint their first king. Until recently, every dispute over succession in Alderaan's history had been peacefully resolved within its stone walls, and the houses' greatest treasures were placed in Elysium vaults as a symbol of trust. When Gaul Panteer was assassinated and Alderaan's ailing queen passed on in a mysterious transport crash, the parliament assembled in the Elysium to elect a new sovereign. It was then that House Thul made its move, returning to Alderaan after decades of exile. Violence and accusations erupted almost immediately, and since then, the Elysium has remained an empty, forgotten symbol of Alderaanian unity--its ancient halls cracking as distant bombs fall, and its beauty quickly fading. Glarus Valley has long been the ancestral home of House Panteer, the royal family of Alderaan, and the site of the Elysium and Castle Panteer itself. The valley was once the seat of culture and democracy on Alderaan, a place where squabbling nobles could resolve their disputes peacefully. Like so much of Alderaan, the land is now ravaged by war. Castle Panteer has fallen to House Ulgo, and the Elysium is all but abandoned. Although House Thul and House Organa maintain a small presence in the area, the disciplined soldiers of House Ulgo tighten their hold every day. There are rumors that the royal family is still in hiding somewhere in the valley, but even Ulgo has been unable to find them. The majestic Juran Mountains have been the site of many conflicts in recent years. 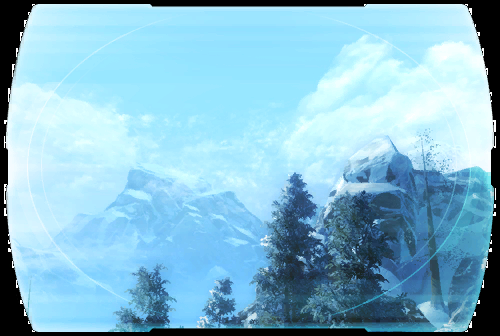 During the Battle of Alderaan, Republic resistance fighters sought refuge in the mountains, using the natural cover to hide from the invading Imperial forces. It was here that Captain Jace Malcom led Havoc Squad in an ambush against Darth Malgus; with the help of Satele Shan, the Republic troopers were able to triumph over the powerful Sith Lord. After a few short years of peace, violence has once again erupted in the area. House Ulgo, backed by its vassals in House Rist, has occupied the region and is locked in a brutal conflict with the forces of House Thul and House Organa. Alderaan is a mountainous world of lush forests and grasslands, ruled by an assembly of noble houses and an enlightened and advanced citizenry. A founding member of the Republic, Alderaan has been traditionally admired for its wealth, its art and its thinkers, while the deadly intrigues and politics of the nobility have been downplayed. Recently, those intrigues erupted into civil war, and Alderaan--now officially withdrawn from the Republic--sees conflict it hasn't known in ages. The Republic is backing House Organa's quest for the crown, whereas the Empire backs the former House Thul exiles. Palaces and fields have become pockmarked by cannon fire, and house armies clash on the battlefield.